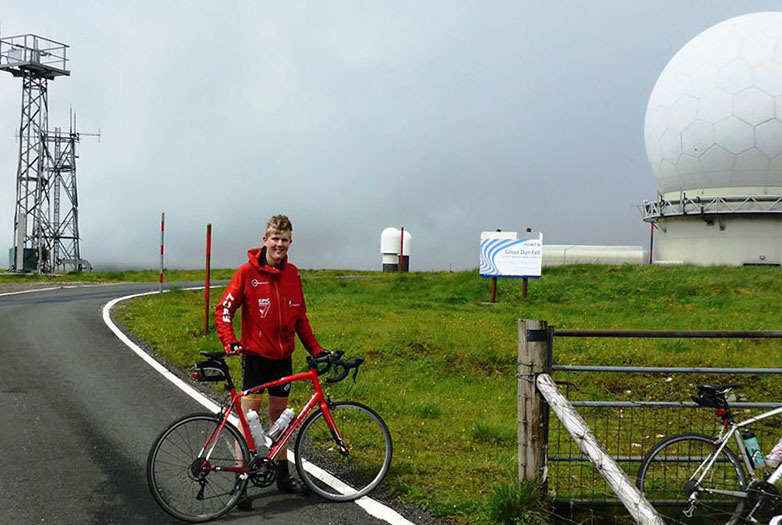 I’M ALEX Staniforth, 20-years-old, and endurance cycling has always been key training for my mountaineering expeditions – considering I live in the leafy flatness of Cheshire. Aged at 18, I departed to try and climb Mount Everest in Nepal. 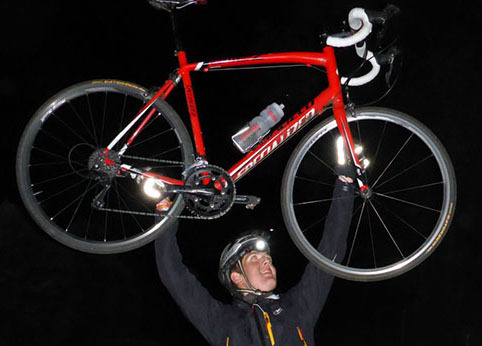 The expedition was cancelled due to a huge avalanche, so in the meantime I decided to cycle 878-miles unsupported from Chester to Chamonix in the French Alps over eight days, cycle the Fred Whitton solo and become the youngest person to complete the National Three Peaks Cycle Challenge. That amounted to 440-miles and three peaks in just four days, as you do. Earlier this year, I returned to Everest and narrowly escaped an avalanche at Camp One on the mountain triggered by the Nepal earthquake. Tragically, three of our Sherpa team were killed at base camp. I returned home resolving to do whatever I could to help the victims. 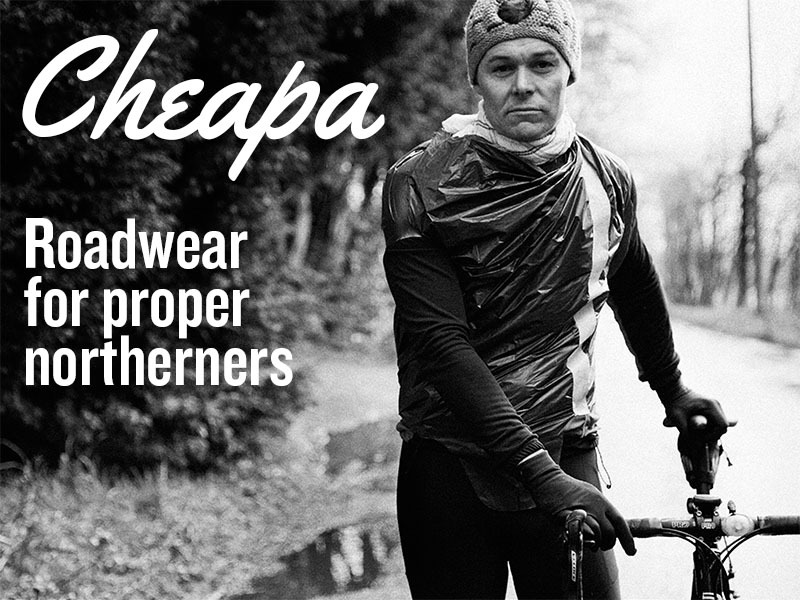 Eager research uncovered a growing trend amongst the intrepid cycling fraternity known as ‘Everesting’. The simple rules stated that one must choose a hill and cycle as many continual ascents/descents as necessary up this one hill to accumulate the same vertical height of Mount Everest (8850m/29,035ft) in one 24-hour period. Stops and support are, of course, allowed, but the timer does not stop. Cycling the equivalent of 8.5 times up Mt Snowdon, the highest peak in Wales, was enough to seize many calves on mere contemplation alone. If I couldn’t climb Everest, I would cycle it. I was in. 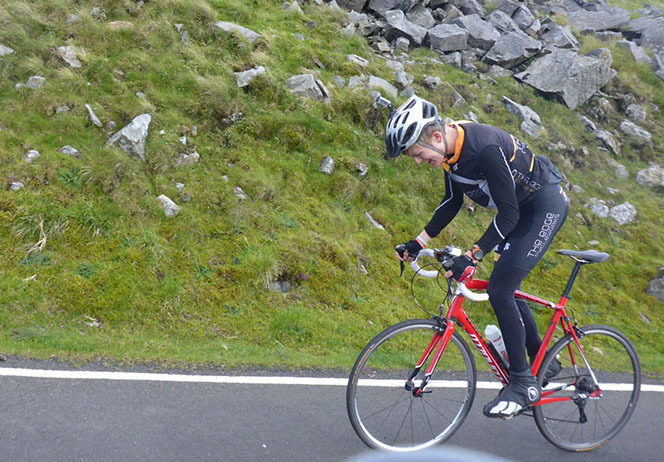 After much deliberation, the target was eventually agreed to be Great Dun Fell, widely revered as the British Mont Ventoux with a whopping 632-metres of ascent per climb. It had already been ‘Everested’, but lacked the inconvenience of traffic and boasted a superb road surface. Psychologically, it seemed more tolerable to make 14-and-a-bit ascents than counting down from a hundred to hit the required elevation. It was a fragile balance – too gradual a climb and rack up much bigger mileage, while too steep a climb and you risk burning your quads to smithereens before you get to the ‘Death Zone’, which begins above 8,000m altitude on Everest itself. I quickly wondered whether I had shot myself in the foot. My confidence was further plucked when one person warned me I would have only a 50 per cent chance of survival. Many semi-professional cyclists fobbed it off more lightly as “not their cup of Earl Grey”. Was this sensible? Of course not. While undeterred, preparing for such a feat in a very short time would have to be relentless to make the cut. Fortunately, moving to live and train in the mountainous playground of the Lake District couldn’t have come at a better time. Myself and two keen cyclist friends, Ste and Mick, checked in to YHA Dufton – a cosy little hostel in the sleepy and pristine Eden District on the edge of the Pennines. At 4:00am on August 6, a huge bowl of sugary porridge started the nerves off as usual. I held my nose as I downed a shot of beetroot juice for a hit of nitrates, proven to increase blood oxygen capability, apparently. Cycling towards the little hamlet of Knock was our warm up and in the crisp dawn, our target appeared into clear and intimidating view. A few expletives followed as our heads looked up at the horizon. ‘Everest base camp’ had no tents, but we had Mick’s car would prove to be an absolute Godsend. We parked up on the tarmac road near the Christian Centre in the hope their faith would bring offerings of tea and biscuits in the freezing cold. Later on, we would almost be knocking on heaven’s door. Our ‘Everest’ was a beautifully bleak part of the world. The road starts gradually through swathes of farmland and forests home to barn owls and red squirrels, but is mostly concealed within rocky moorland and skirts along the edge of a seemingly infinite and rugged valley where the Pennine Way joins further up. Most would wonder how or why anybody constructed a road in such an unforgiving landscape. 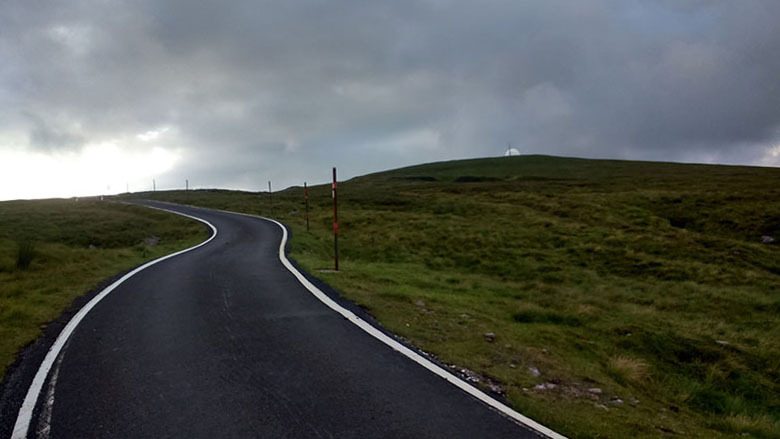 However, Great Dun Fell is home to a radar/communications station – hence the impeccable tarmac road stretching 4.6 soul-sucking miles to the top. By cycling standards, it is most definitely of Himalayan proportion – although the curiously-shaped giant golf ball of the radar station was like something off a different planet. It was now 5:22am and time to start climbing. We set off as a trio, ticking off the first two ascents quite quickly. The first was hard, but the second was more reassuring once our legs came out of hiding. At a ‘comfortable’ pace, each rep was estimated to take 50-minutes with a maximum three minutes on the top to admire the view. Choked by sludgy hill fog, there was little to be seen. The exhilarating twisting descents took about 15-minutes with occasional heart-jumping dips in the road and sharp hairpin bends that Ste nearly binned at an impressive 46-mph. With wet brakes and wind streaming my eyes, I was a little more wary as rogue sheep bolted into the road and only small barriers could stop us veering off down the mountainside and into the back of a rescue helicopter. This schedule was inevitably optimistic and fell flat, as Ste’s tyre did within five minutes of arriving. Everything was otherwise planned to a tee – except the mercy of the Pennine weather. Sporadic fierce gusts in any direction threatened to sweep the wheels from beneath us. 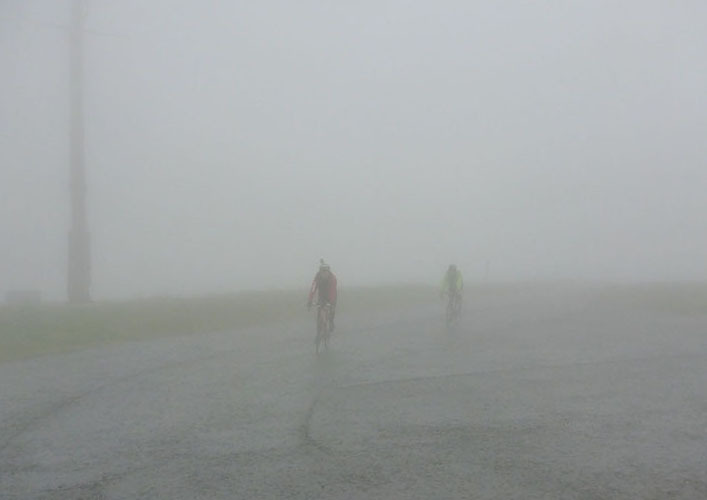 Helm winds rattled the bikes and the cloud level plummeted down to about halfway up the route. Psychologically, it was strangely comforting not being able to recognise the grinding pulls of the route ahead that became increasingly familiar but no easier. We continued the monotonous motions of up. After one rep, there is little joy to be had in staring at asphalt a metre below and pea-soup visibility ahead. Having Mick alongside to chat provided a welcome distraction, so I could preserve my mental grit for later on. We climb Mount Everest as a team, and likewise on the bike, I wanted to remain together as long as possible. Rain and fog compounded the suffering and looked like it might be staying with me until the end, too. 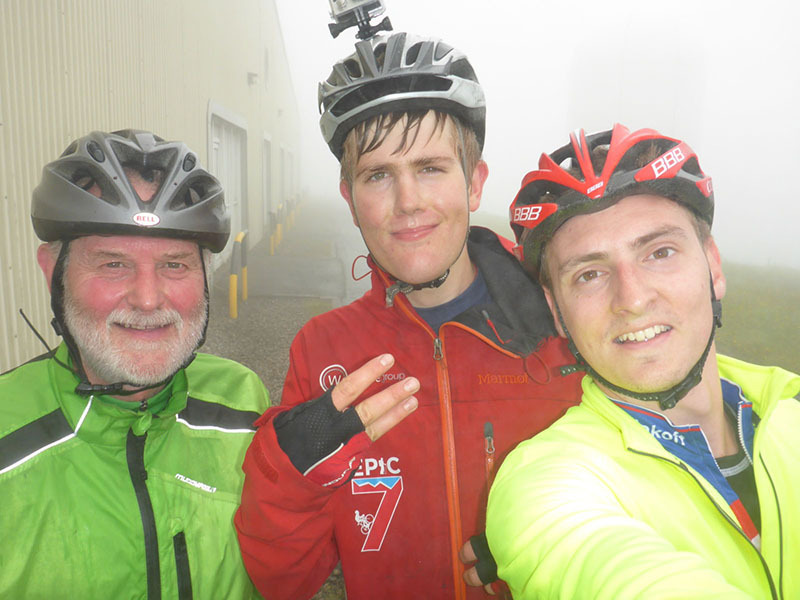 We were soaked to the bone and shivering in the saddle on the descents. Grease leaked out of my headset and my brake pads had practically melted into tarry liquid spewed over the frame of my Specialized Allez. Wet clothes would soon be cold clothes and hypothermia was becoming a very real threat, but Ste saved the day cycling back to the hostel for the convenience of a drying room. He enviably opted for the comfort of the car and brewed hot chocolate to warm us inside out. Food at base camp was the only comfort I could find. I didn’t know how hard it would be, so I took on about 50g of carbs per hour – with protein and fats to fight the nausea -including bagels, malt loaf, peanut butter, carbohydrate bars, isotonic powders, flapjack, cookies, figs, bananas and lots of water. As my legs froze stiff, there was little time to relax before spinning again. Keeping pedalling on the sourest sections of 20 per cent gradient weeded the weakness out and grew harder in mind and body. Even the red reflective posts alongside the road began to irritate the mind when there was little else to think about. About six hours of suffering later and still less than half-way, the heavens had retreated into baking sunshine and calm winds. But we now had the iconic golf ball tormenting us at the other side of the sheer valley as sweat stung our eyes. The risk of hypothermia had flipped to dehydration in the summer heat that sapped each ascent, drowning from inside out and the descents gave little time to drain the lactic acid. After an unrelenting final steep section, a long pull round a corner through a gate led me to a gentler final slope to the summit for the seventh time. There’s just that wonderful minor psychological shift when you hit the halfway point. But we break the elephant into small chunks and from now on, I would count the number of reps left – for that number was smaller than the reps I had already completed. The hours still dragged on. Another passing cyclist, admirably aware of my intentions, urged me onward. “Keep pushing you mad bugger,” he cheered. I couldn’t have put it better myself. This was ridiculous. Being truly out in the country, there was little other human contact besides the local farmer and his flock swarming the road for 20 minutes. A slight respite was welcome, but the roads were too steep to pedal slowly without hitting the deck sideways. As sunlight faded across the Pennines and tucked beneath the rolling hills, the temperature went with it. Having completed a whopping 10 ascents with me, Mick retreated to base camp. I was on my own. I swore at my watch. Four to go. This was going to take a while. The solitude got my mind playing games- and ‘50 per cent chance of survival’ rang in my ears. My head throbbed through to my stiff shoulders and my heart rate dropped lower despite cycling at the same steady effort. The head-torch came on with three still to go. After 100-miles and 6,750m of ascent conquered, my legs were gradually filling like lead but still spinning at a laboured effort. 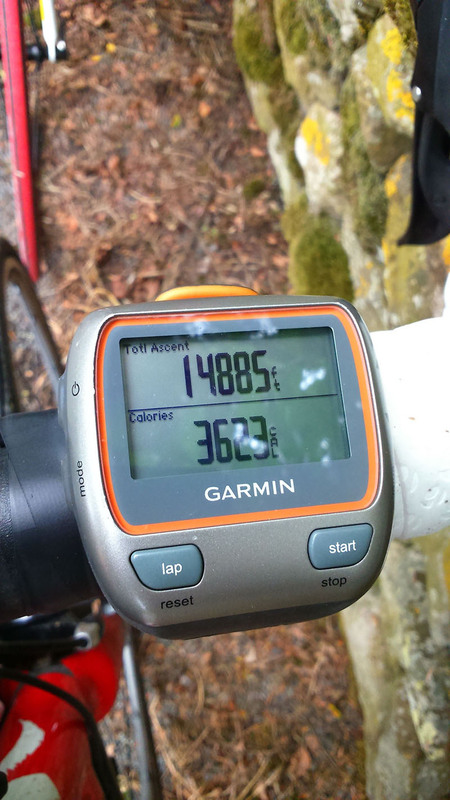 Each ascent was slowing down, as I hung onto the easiest rung of my 32-t cassette. Another blessing was the warm summer ambience, but getting back on became harder each time. I worried base camp may encourage me to call it a day and I might not resist temptation. But I had to finish this. If I couldn’t climb Everest itself, failing to Everest on a bike would have crushed me. I knew it was possible. It was as simple as telling my legs to shut up for a few more hours. Sure enough, rep 12 was done by midnight. The fell top was shrouded in eerie hill fog, yet again, and the distant village lights below were my only hope of spatial orientation besides the glow of sheep eyes guiding me onwards. “Are you guys OK if I go and knock this off?” I asked the guys, disturbing their snoring as I raced down to base camp for the 13th time at nearly one in the morning. I had almost fallen into a trance and started shuddering myself awake, singing out loud to keep the wheels spinning and the bike upright. Summit fever was kicking in. I had expected to be pushing through agony, but felt the strength flush back to my weary legs as I crawled to the summit for the fourteenth and final time. 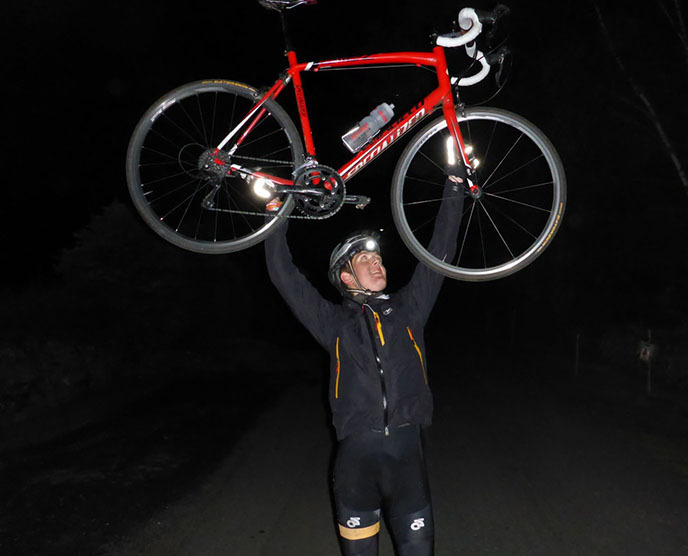 At 1:46am, I’d done it – 29,117ft in the bag; 129 miles; 21-hours 19 minutes. I was closer to the top of the world than I had ever been. I was chuffed to bits. Sadly, I had nobody to hear my slurred cheers and shouts into the inky darkness, swallowing me. Or perhaps I did. The hairs suddenly shot up on my neck and arms, and I remember clearly the feeling of something firmly patting my shoulder. Hallucinations in endurance events are not uncommon, but I was keen to get out before the Ghostbusters theme tune kicked in. Like on Everest, I had to exercise extra care on the pitch-black descents while jaded and delirious. Back at base camp, I thumped the handlebars in elation and staggered around the road before being bundled into the car and, at 03:00am, discovered the divine intervention of my bed. It had never felt better. The next morning, I had adrenaline for breakfast and felt strangely wide awake by 6am. Replacing 7,000 calories was a challenge that I enjoyed more thoroughly, but these tables quickly turned on the train journey home as screaming children tested my sleep deprivation and nausea struck like a flat tyre. Tolerating a couple of hours of discomfort was no big deal. Everesting was not the hardest thing that I’ve done, but offers a superbly rewarding challenge that’s not for the faint hearted. Lashings of commitment and preparation is almost vital, solid mental grit is handy, while vaseline and tough legs are strongly preferred. Enter at your own peril and be prepared to lose not just a few screws, but the entire toolbox. Life begins at the edge of our comfort zone, so get out and get climbing.